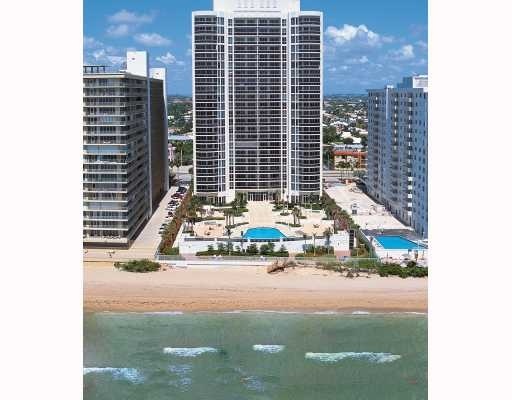 Fort Lauderdale Real Estate has numerous waterfront and oceanfront condos. L' Ambiance is one of the newest on Fort Lauderdale Beach's famous Galt Ocean Mile. When looking fat Ft Lauderdale Condos for Sale, if luxury and beacfront are high on your list, L'Ambiance should be near the top of Ft Lauderdale Beachfront Condos to see. Read more about L' Ambiance. L' Ambiance is located on the Ocean on the famous Galt Ocean Drive. Views of the Ocean are gorgeous and just what Fort Lauderdale living is all about. L'Ambiance's 25 story tower on the ocean provides owners with beautiful views of downtown and the ocean. A beautiful pool area directly on Fort Lauderdale Beach, billards room, fitness center, wine and card room and numerous meeting rooms prove the owners of L'Ambiance truely own in a Luxury Fort Lauderdale property. Double door entries to your suites and large outdoor terraces allow owners you to enjoy the location of L'Ambiance to its fullest. Just starting your search for a Ft Lauderdale Condominium you may wish to read our article on Fort Lauderdale Condominium Insurance. Eric Miller and Associates, are always available to help you buy or sell Ft Lauderdale Real Estate and will be happy to show you L' Ambiance. You can Contact us directly at (954) 383-8170.